Penelope Garcia. Kirsten Vangsness as Penelope Garcia. 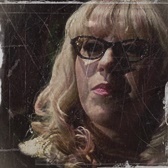 Images in the 커스틴 뱅스니스 club tagged: photo criminal minds penelope garcia kirsten vangsness.